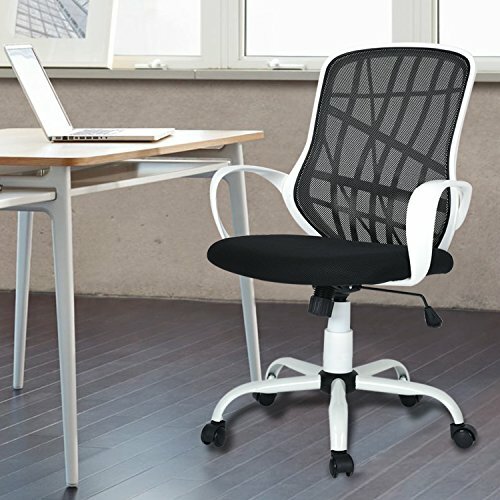 This mesh office chair ,there is a special design on the back ,which own patent. High glossy frame, and height adjustment will make you more comfortable in working and reduce strain In long seating time. Let the breathable mesh back and plush fabric cushion seat serve as a simple extension to your everyday home and business ventures. Weight Capacity is 200 pounds.Product Size: 24.8''*24.00'*37.41''-41.30''(L*W*H).Any question pls contact us by email.